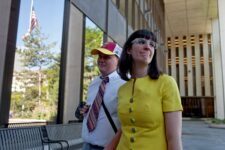 New York Times – Kate Kelly, who unsettled the Mormon Church by founding a movement to advocate opening the male-only priesthood to women, was excommunicated by her bishop and his two counselors in Virginia on Monday. Ms. Kelly, who once served as a Mormon missionary in Spain, organized the group Ordain Women in 2013 and quickly became the face of a new feminist uprising in the church. 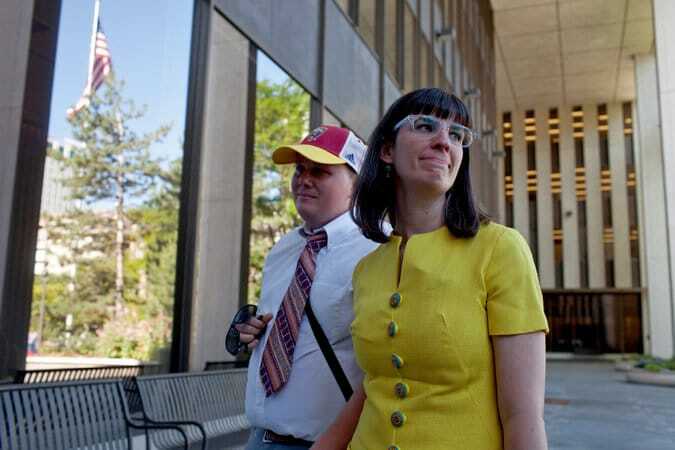 She gained national attention by leading demonstrations at the church’s semiannual conferences at Temple Square in Salt Lake City, lining up with Mormon women of all ages outside priesthood meetings, aware that they would be barred from entering. The Church of Jesus Christ of Latter-day Saints, as the Mormon Church is formally known, depends on women to hold many leadership roles throughout the church. But the Mormon priesthood, which is made up of laymen who are ordained as early as the age of 12, is closed to women because, the church says, Jesus had only male apostles. Bishop Mark Harrison informed Ms. Kelly by email that she had been excommunicated “for conduct contrary to the laws and order of the church,” according to a partial text of the decision shared by an Ordain Women spokeswoman. The bishop said in the email that Ms. Kelly may not take the sacrament, hold a voluntary position or give a talk in the church; vote for church offices; contribute tithes; or wear the sacred Mormon undergarments. The Mormon Church’s public affairs office declined to comment further. via Mormons Expel Founder of Group Seeking Priesthood for Women – NYTimes.com.